This post is a transcript of Reverse the ‘Verse – October 2015 Subscriber Edition Transcript, material that is the intellectual property of Cloud Imperium Games (CIG) and it’s subsidiaries. INN is a Star Citizen fansite and is not officially affiliated with CIG, but we reprint their materials with permission as a service to the community. INN edits our transcripts for the purpose of making the various show participants easier to understand in writing. Enjoy! Disco’s around. He got a shave. He looks good too. Jeremiah (Character artist) and Gurmukh (Concept Artist) are also around. And Elwin is around too, lead Vehicle Artist. Gurmukh’s Week: Working on finishing up art for Archimedes. Done some renders, things like that, then he’s going to help with Crucible art, figuring out an Anvil style guide too. Ben, They looked at the Crucible last week, said the interior should be more ‘anvil looking’, so they’re tying up the style guide for Anvil for everyone to follow. Jeremiah’s working on lots of things that he simply can’t talk about. Also working on helmets, for a corporation that he can’t talk about. Elwin’s work: Working on the Connie, trying to get it where it needs to be. Working on animated parts. Missile arms, missile boxes, redesigned the landing gear, did a pass on the Merlin docking port. Chris was very happy with the docking port. Now they’re waiting for code support to get it working, but it’s blocked in so they know what it’s looking like. He’ll be moving onto the Reliant next. The Crucible’s a very complicated ship. It’s the penultimate ship in the most recent wave of fan-voted designs. it’s a repair ship. For a larger ship, it saddles up and repairs the ship in open space. Todd Pappy’s been in charge of the repair design process. There was some shown in the Citizen Con demo, which was just the shortcut. Actual repair system will be more complex. We’ll learn more about it when the Crucible hits, no ETA, but the Crucible’s probably the next ship. It’s modular, the back bay can be removed and replaced with something else. It was initial concept by Ryan Church, who did the Connie and such. One of the challenges for the Crucible is trying to get it to fit the manufacturer, make sure the interior looks like Anvil. And another big challenge is making sure there’s a clear-cut boundary between ships that can and can’t fit inside the repair bay. Right now they’re focusing on making sure the mechanics are set in stone before they work on the concept art too much. Game designers are working on placing things inside, making sure things work, before they do too much concept art. Character Artist Omar Aweidah just joined as well. Omar’s been working on concept art – helmets and such. Also working on the new character layout – swappable items, stuff like that. The pipeline for characters is now in place, so they’re improving the standards, seeing how far they can push the limits while still saving on memory. Also right now Omar’s doing a suit that he can’t talk about. But it’s cool. Many people are talking at the same time, it’s hard to hear. But apparently people are tweeting about Lando’s hair. Gavin Rothery in the UK did the Sabre. Gavin also did the first pass component concepts, and the Starfarer. The Sabre is moving into Whiteboxing right now. [What type of hardware do you use?] WACOM. Now they’re arguing over the pronunciation. Gurmukh sometimes paints with the mouse. Cause he’s too lazy to pick up the pen. Most of his design and modelling is done in Maya, rendered in Keyshot, finished in Photoshop. They’re talking about how they really like Keyshot. Lots of technical talk right now. [Are you familliar with PhysX clothing from gameworks nvidia / plan to use it?] Not familiar with it. They’re not using it, However they can’t talk about what they are working on instead of that because they need to see how much they can use with the memory constraints and limits. They could do a lot of stuff, but they need to see what they can allocate memory to. They’re doing some tests to see what they can do for physics on clothing, for as they’re moving and stuff, but they need to test it all. They need to give a lot of customization, but still have a very low resource cost. Wear and tear stuff, and changing colour on clothes, are very easy right now. [Will there be ‘designers’ in ‘Verse?] Yes. There will be certain types of designer clothes and such in ‘Verse. Working on Shubin for a good month and a half, and they’ve got a style that fits just the Shubin corporation. A Shubin shirt won’t look identical to a ‘terra casual’ shirt. [Update on ship skin system / ability to paint ships?] Nothing to update currently, but they’re looking on ways to make it easier. Looking on ways to allow players to do it, they just haven’t figured out the best system for it. Working on getting content out first, they’ll do ship customization later. Nyx is being worked on by Austin. Maybe some Nyx updates when they visit Austin in two weeks. No promises though. [Xi’An Scout?] It’s going to be built out in Austin.They’re doing concept stuff in the UK though for it. Exterior and interior, building up the ‘culture kit’ for the Xi’An, which’ll be used as a base for all Xi’An ships. He’s been working on the Herald, fleshing it out. Apparently it’s a jumbled mess of wires and server racks and such, but it’s the second Drake ship, so he’s had some room for creativity to build out what Drake is. They now have a collar system. If the suit is EVA capable, and you put on a helmet, it will lock, it won’t have an open neck. What we saw before was just for concepting purposes. No characters in space will have exposed necks. They do take into account where everything locks together and stuff for surviving EVA’s. [Prowler?] Work on it hasn’t started yet. 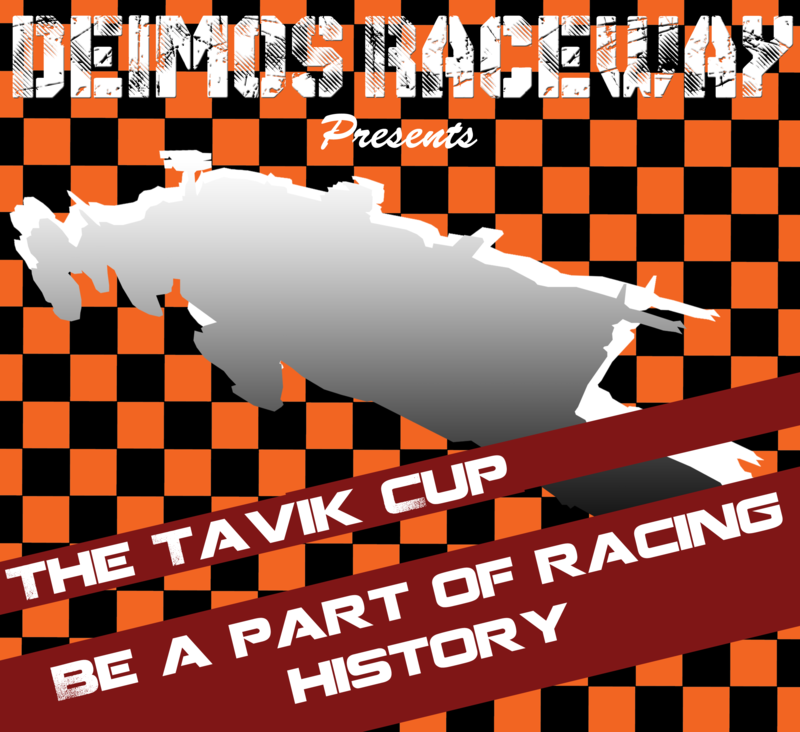 The Tevarin race dont’ have a culture kit built yet, but it’ll be built soon. The Prowler will get started once the Reliant variants are done, which will be very soon. [Custom logos?] They’ve had conversations about it, but that’s more for the game designers. The hope is yes, it’s a long term goal, but not much work’s been done on it yet. [Update on what studios are working on what ship manufacturers?] UK – Aegis, MISC, all Vanduul ships. Austin and Santa Monica have – Anvil, Drake, RSI, Origin. Consolidated Outland hasn’t been assigned anywhere yet. [Starfarer?] It’s getting built out right now. Part of it is in greybox, some sections are looking awesome. Zane’s doing some lookdev on the UI for the Starfarer. [How closely will fashion trend with tech in the ‘Verse?] Hopefully a lot. A benefit of working on characters, some of the concepts you can develop while you’re modelling it. When people have ideas they can be implemented further along in the process. If someone has an idea about tech, they can integrate that in. Lots of the fashion right now isn’t very high-tech, but we’re in Arc Corp. Go to Terra, and the fashion might have a lot more tech in it. Rob Mckinnan, Character Production Designer, worked on Tron. Gave some approval to make some designs look like Tron designs. [How long does it take to design a character concept?] Depends on what type of person the character is, but not long. If it’s a miner, a day. If it’s a heavy marine with EVA capabilities, takes a bit longer. Depends on the uniqueness of the character. Also they do three variations of a character. Can’t just have one concept art. Have to show different variations, so Chris and Designers can take their pick. Some characters’ll be approved in two days, some in two weeks. Being an artist is very amorphous. Can’t sometimes know how long something will take to build out. For ships, a single-seater can take about a month, and the bigger the ship, the longer it takes. Also depends on the company. Aegis is very defined; Retaliator sets the tone for future Aegis ships. When you’ve got stuff like the Retaliator providing information, it speeds up the concept. But if it’s a company with less pre-made ships, it can take a lot longer to figure out the look and the feel for the company. [Do you do art outside of SC? Do you go home and art?] They all want to, but some of them have more time to art than others. At the studio till 7-8, an hour to get home, home at 9, deal with ‘life’, can be hard to find time to art. [Cybernetic replacements for losing a limb? Any work on that?] Not really. Worked on some medical appliances, but not that far yet. Still very much in the works. They’re talking about the three seashells now. Weirdest thing Jeremiah’s worked on is a creature with female genitalia on its face, for a movie coming soon that he can’t talk about. Gage has come in. He has been working on LoD’s. Levels of Detail. Not lines. or Defenses. [Carrack?] Gurmukh’s pushing to do more on it, but there’s a lot of work that needs to be done. Lots of fun things he wants to do on it, but needs the scheduled time for it. Someone’s taking a picture of them. Maybe Hennessy? [What colour crayon tastes best?] White one. Jeremiah’s eaten all kinds. White tastes best. They’re showing off Abacus Man now. [Helmet that resembles a cowboy hat?] The main thing for characters is lore. If it fit the lore, Chris and the writers wouldn’t have a problem with it. But would we be wearing anything that was made 900 years ago? Now they’re arguing over polyester and wedding dresses and hats and stuff. [Working on landing zones in Santa Monica?] No. Mainly characters and spaceships. [Doing any work on Alpha 2.0?] Connie. The Connie is a big part of 2.0. They’ll be in trouble if the Connie’s not ready for 2.0. All hands on deck is to get the Connie ready, all hands on deck on the Connie in both Santa Monica and Austin. Flight Model Post text is approved, it’ll be up tomorrow. [Connie variants, do you go straight into them after wrapping up the Connie?] No. Their focus is to get more ships out first before piling thigns on to single ships. Need to test out different kinds of difficulty. For 2.0 and the immediate future, you’ll be flying the Connie Andromeda. No plans to get the variants out soon after that. [Work on Freelancer?] Because it’s a MISC ship, it’s being done in the UK. They’ve started doing more concept passes on it, getting it updated with the new MISC look. Apparently the cargo area looks really cool right now. Freelancer won’t be 2.0 launch, but it’s a priority to get a lot of resources on it soon. [New materials? Things invented in the future, or just using things that exist now?] Alien species is where we’ll see most of the ‘new’ materials. Being explored for Xi’An now, and it’ll happen for other species as well. [Avenger variants?] Work has been done on those, but that’s UK. Nothing to report yet. 2.0 is focused on Tali and Connie, and existing single-seater ships. They’ll be treating it like the initial .7 or .8 launch of AC. One or two ships at launch, more hulls soon after, but the base multicrew gameplay concept needs to get out and into our hands, to make sure it doesn’t explode. Military kit hornet upgrade will just use the military kit they’re developing for SQ42. [EVA suits are the seal rings standardized so equipment can be swapped out?] That’s the plan. There will literally be ‘stages’ on the character. One will be the glove, they’re called items. Like components, can swap them in and out. Could have an RSI helmet, a light-marine boot, etc… that’s the idea, they’re working towards it. Stay tuned to another subscriber Edition next month! That’s all folks! Thanks for watching. Around the Verse: What is Mega Map? It is disappointing to see how large the Crucible has grown from it’s initial concept. From a small Capsela-type unit that could fit in the cargo hold of a Connie, to something big enough to contain a Hornet and be possibly as big as a Carrack. It means no longer is it equipment that can be carried and counted as a loss of cargo space in favor of supporting fleet repairs, but instead is a ship that you must return home for, find crew for and respond with. How is that a bad thing? The repair device you described sounds like it’s of the “good enough” nature. The Crucible can completely repair a vessel, if you have the parts, it’s going to be as mandatory as having healers in your raid.